Greg founded VMG Health and has acted as a trusted advisor to healthcare system and healthcare services executives and boards since 1990. He founded VMG Health in 1995 to create the first healthcare services focused valuation and transaction advisory firms in the United States. He has been responsible for directing and implementing the overall strategy and focus of the firm since 1995. He has gained a deep level of expertise working with hundreds of healthcare organizations on over three thousand engagements throughout the United States, UK, South Africa, and Western Europe. Over the last 23 years VMG has achieved a compound annual growth rate of over 16% and the company has grown to over 140 employees. Greg continues to advise clients in their transaction and joint venture strategies. 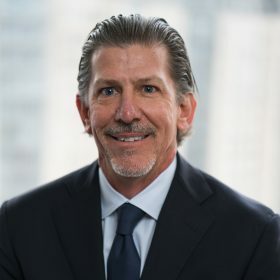 Between January 2017 and October 2018, Greg acted as interim Chief Development Officer of Envision Healthcare. During that period, Envision made over $1 billion in acquisitions and divested a $2.6 billion medical transportation business. Envision was taken private by KKR in October of 2018. Greg was a co-founder and Director of Practice Performance, Inc., a physician practice management services business that was sold to Med Synergies in 2006.